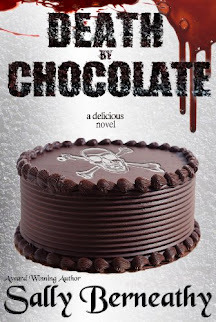 A routine cake delivery becomes a culinary nightmare when a small-town baker discovers her first client’s dead body in this irresistible new mystery series. It’ll take more than a little sugar to convince folks Daphne Martin’s freshly baked spice cake was not to blame for the mysterious death of town gossip Yodel Watson. Getting her new cake decorating business, Daphne’s Delectable Cakes, off the ground is hard enough now that Daphne’s moved back to her southern Virginia hometown, but orders have been even slower since she found Yodel’s body. She soon realizes, however, that just about everybody in town had a reason to poison the cantankerous busybody, from the philandering pet shop owner, to Yodel’s church potluck nemesis, to the Save-A-Buck’s cranky produce manager-turned-bagger. Now, to help prove she’s no confectionary killer, Daphne recruits her old flame, Ben Jacobs, editor of the local newspaper, and quickly stirs up a long-hidden family scandal that just might hold the secret ingredient she needs to solve the case. All she’s got to do is roll up her sleeves and get her hands a little dirty before the real culprit decides that taking sweet revenge on Daphne will be icing on the cake. Love, love, love Gayle Trent's work. I started out reading book four of the series so it was nice to come back and read book one. 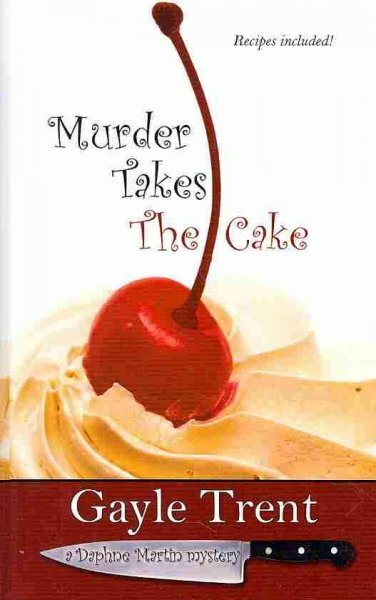 Murder Takes the Cake is not only an awesome mystery, but it has characters that you can't help but love. I also love how there are so many little mini mysteries that come together in the end. Trent is such a talented author, but I love the fact that she really knows what she's talking about. When she writes about cake baking and decorating, you can tell she's a master baker as well as an awesome author. Awwww! Thank you so very much, Amy! You ROCK!!!! !